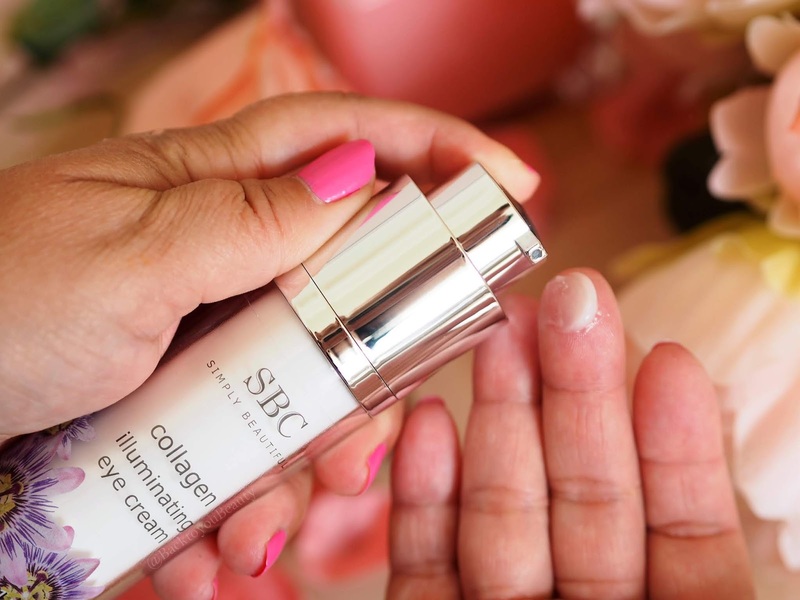 It wouldn’t be Summer without a fabulous Collagen collection from SBC. 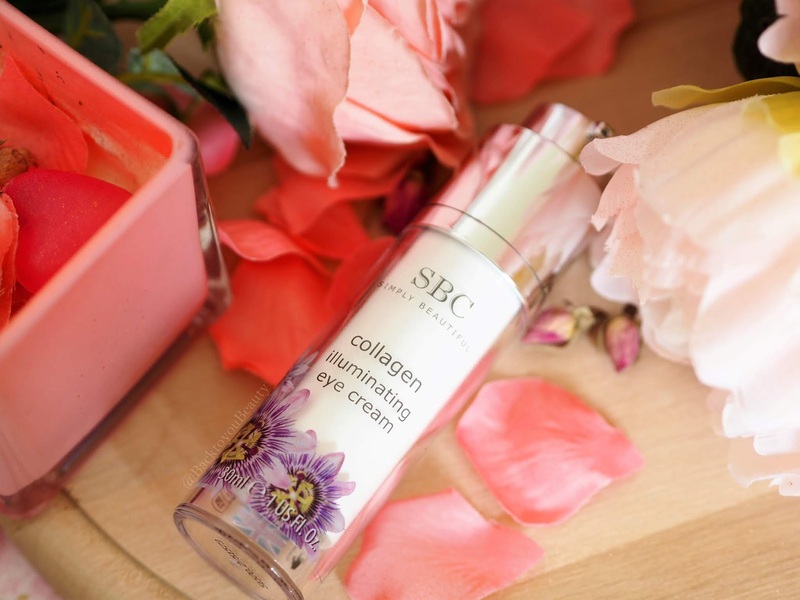 SBC ( Simply Beautiful Collection ) was born 30 years ago and has been consistently creating highly active, botanical products that harness the power of nature. I have featured the brand on my blog since day dot of Back to you Beauty as it is a brand we have used as a family for years and years. Summer time usually sees them launch an incredible Collagen collection at an amazing price. This works wonderfully on sun parched and damaged skin as it is all about strengthening and repairing the skin on both men and women. As cleansing is the most repetitive step in our skincare regime, surely we should be using quality ingredients? So why not indulge it in some beautiful Marine Collagen to not only cleanse, but treat our delicate skin. I have been a huge fan of this product for many, many years. It smells absolutely gorgeous thanks to the inclusion of Passion Flower Oil and Kukui Seed Oil. It is also these two highly important ingredient’s, along with soluble Collagen that make this product deeply hydrating, anti-inflammatory and nourishing. On a treatment level it is perfect for aged, mature skin, skin that is dry and needs some love and just to give an all round healthy, soft looking, plumper, smoother look and feel to the skin. On a beautiful bathing experience level, it is suitable for the whole family including children. It only takes 2 pumps under running water in the bath to create a luxurious foam, that leaves a delicate scent on the skin. ﻿Fantastic when adding a pump to a shower sponge and used in the shower to wash head to toe, it really lifts away the grime and impurities of the day whilst leaving the skin refreshed and hydrated and not tight and dry. You will feel so soft that you may find you can escape a night without body lotion! To read more of my posts on SBC shower gels please click HERE Shelf life opened 12 months. SBC Collagen Gel is amazing! I cannot even begin to tell you how many people I have bought these Collagen Gels for! Why? I know it works for my skin and I receive so many compliments. Used regularly, my skin is definitely looking firmer, my forehead lines less visible and across my stomach, marks from pregnancy have definitely faded with regular use. I know everybody’s skin is different but personally my results have been outstanding. It is great at dealing with the existing signs of ageing, wonderful on crows feet around the eyes, it can also be used as a relaxing eye mask by squeezing a generous amount of this gorgeous pink gel onto a cotton pad, fold in half and place under the eyes around the area where you may get dark circles! My dad – in his 70’s – also adds a pump of Arnica to his Collagen and puts under his eyes and this helps him with swollen under eye bags and dark circles. You really can play around, mix and match and find your own unique blend of gels for you. 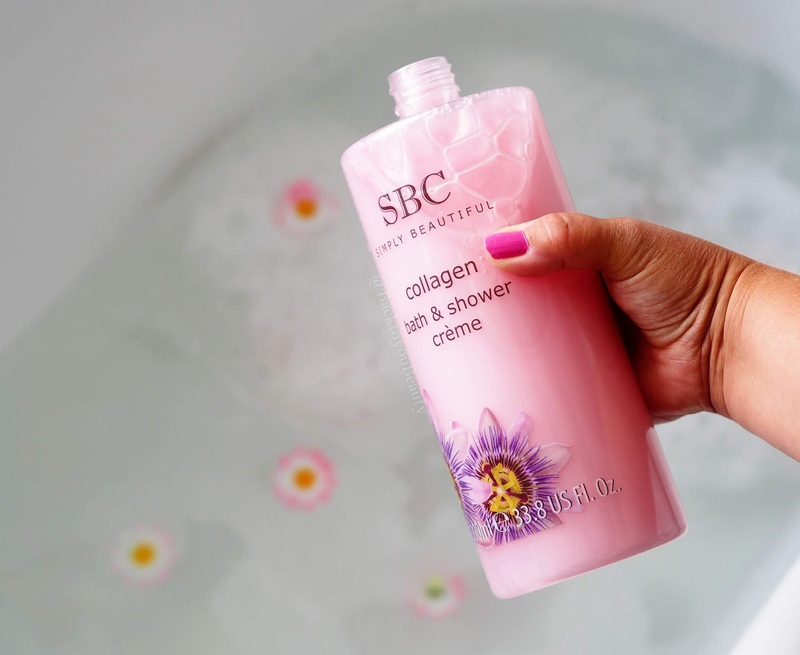 Collagen is a naturally occurring protein in all our ligaments and connective tissues and skin and as we get older our Collagen levels significantly decrease, therefore leaving some of us with dry, creapy, ageing, droopy skin. This gel is in such a huge size that you really can slather it on everywhere, I use this across my stomach, thighs and “bingo wings” and really massage it in well to help give a firming feel. I use it on my face, paying particular attention to my forehead and lip lines. It smooths in so easily, leaves no sticky residue, and allows me to apply make up straight away and get dressed straight after applying to my body. The great thing about these gels is if you already have a body lotion that you absolutely love, then why not add a pump of this to that lotion? Everybody could do with extra Collagen so this is an amazing way of adding it. This Serum is fantastic! There I have said it, and yes I am a serum junkie, and yes I think lots of serums are amazing! I also think many are not so great and for such an important part of a skincare routine, I make sure I shout loud for the ones I love. Do not forget this is a 10% inclusion of Marine Collagen serum we are talking about here and some brands charge double the price for a lesser amount, plus this is a 70ml bottle!! Firstly the packing is sleek and lovely looking. Simple yet effective, airtight bottle which keeps the product clean, is also see through so you can see that it is filled all the way to the top and also great to keep an eye on when you need to restock, I love that touch on a serum. This intensive serum is packed with Marine Collagen which is used in products all over the world because of its anti-ageing benefits. This important ingredient is amazing at plumping and deeply hydrating the skin whilst minimising the appearance of fine lines and wrinkles. It works wonderfully on mature, thinning skin and also on dry or dehydrated skin as it is gentle but effective and gives great results. Applied after cleansing this product lifts and brightens the skin and is an important part in your skincare routine. I adore the scent of this serum which is similar to the other collagen products in the collection. A cooling white serum that is very easy to apply by gently tapping into the skin, or, if you have an area of dryness or fine lines that you are more concerned with, you can afford to apply a little more as a mask treatment. I have a very dry upper lip area, that has started to wrinkle more, which is due to sun damage, so I like to apply a thicker layer here and let it sink in. Also lovely around the outer laughter lines on the eyes. First off, the packaging is beautiful. It comes in a airtight, twist pump that dispenses the perfect amount of product for both eyes. Secondly, the texture of this eye cream is absolutely divine. Cream is the wrong word really, as it feels more like a gel highlight. This product has blown me away in the brightening stakes. Now, I am being honest and saying that I received this product so late that I cannot vouch for any skincare benefits as yet, but if you want a lighter, brighter more wide awake eye area, that looks like you have been airbrushed, this is for you. Powered by a unique blend of Marine Collagen and EPS Seafill, it tightens and brightens the eye area immediately. Containing Kukui Seed and Passion Flower oils, it really hydrates the eye area too and makes it appear smoother and softer. You can apply this product both Am and Pm, but I have also been enjoying applying it instead of my concealer, as it gives a lovely soft glow. I am looking forward to using this longer to see more permanent results but am loving the light texture and brightness so far. This four piece collection is available as a Todays Special Value (TSV) on QVCUK for one day only whilst stocks last. You can purchase this collection on Thursday 2nd August and will be available on Easy pay at under £40.00 You can purchase the collection HERE when it becomes available. Have you tried SBC before? What is your favourite product? Let me know by leaving a comment below. "Love, Trust & Fairy Dust…… The new palette from Tarte"
I was wondering what was in this collection. This is the best I've found and often keep the gel in the fridge and use it cold on hot days. With an EP option it will be in my shopping basket. The packaging is beautiful and simple. The products are Devine and simple. Not too much perfume. I like that in a product. Looks an amazing set. Worth it for the bath bubbles!!! Just what I need. Well done! Such amazing value! These products sound great. 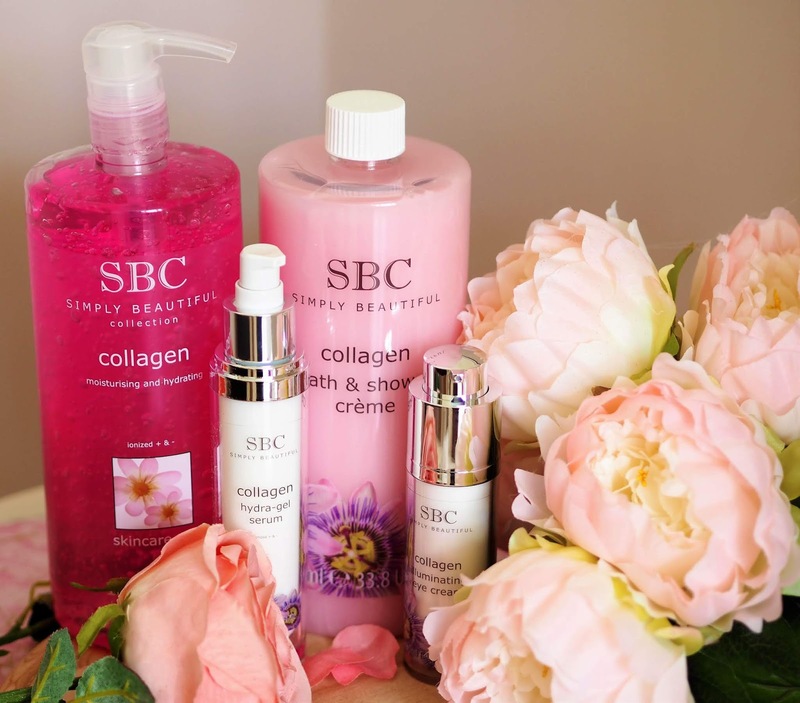 I love a lot of the SBC range but particularly the Collagen Bath & Shower Creme. It smells divine and find it so hydrating that I often don't feel to need to follow up with any body lotion. The shower creme looks so luxurious!